If you are thinking Sumo Suit hire, think again! Sumo Experience provides a Japanese themed party and team building service. Your kimono-clad "Gyoji" will lead the ceremonials, organise the fun and referee the competitions (with tongue firmly in cheek). 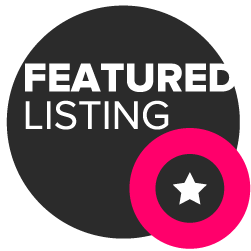 With 10 years and over 500 Sumo Wrestling parties and events behind him, Martin Day offers a unique Sumo wresting party experience unlike anything else to be found in the UK - If you've heard sumo suits, you've heard of sumo hire. But if you've heard of sumo parties, then it will be Sumo Experience that you've heard about. Martin was so engaging with the children and young people ., Lots of fun and laughter .A man with a great sense of humour .This was a special event for the siblings of disabled children that use Cherry trees .This was a day just for them and Martin certainly made them feel special . i highly recommend him for any event and will definatly use him in the future. What a fantastic night !!! This was certainly a great charity fun event organised to date !! Martin rocked as the master and got the crowd excited and up for a fun fight. My directors and managers who participated absolutley loved the sumo expericence and could not rate it enough for fun appeal !! Martin is very professional / friendly and knows exactley how to get the crowd going..
My son just had his 10th party with Martin from Sumo experience, it was absolutely fantastic. Martin arrives and takes over with all the kids and you sit and watch for 90 minutes, no stress . Brilliant fun and different party. Only 2 people can fight at a time, what does everyone else do? For parties and team building events your 'Gyoji' organises the participants into teams with each combatant wearing his/her colour coded team bandanna. Everyone is encouraged to cheer their team on, so everyone has investment in each fight. When there are too many people for everyone to have a go (and there will be some who would rather watch their friends 'make fools of themselves'), spectating is as much entertainment as the wrestling is fun. For children's events we have found that numbers need to be between 10 and 14 as children demand maximum participation! Do you hire sumo suits? No. This is a common question because suit hire is the predominant model in the entertainment industry. 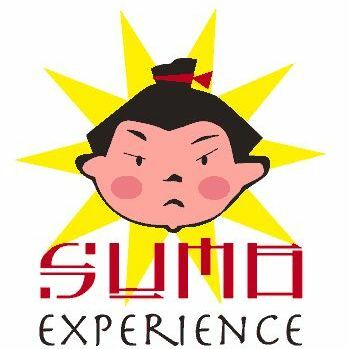 Sumo Experience provides a themed, managed and hosted serviced. We don't hire our suits and mats out on their own. Why isn't your deposit refundable? It is simply a question of commitment - We don't intend to keep your deposit. If you need to cancel then you can reuse your deposit to re-book on another day. But if your decide against Sumo after booking your should know that your deposit is non refundable. How much space do I need for sumo? You will need 22ft x 22ft (6.7m x 6.7m) of clear grassy space if outside (tarmac or concrete is not suitable. The same space is needed inside - so you need to be thinking village hall, church hall size. Very few people will have one room that is this big in their house.